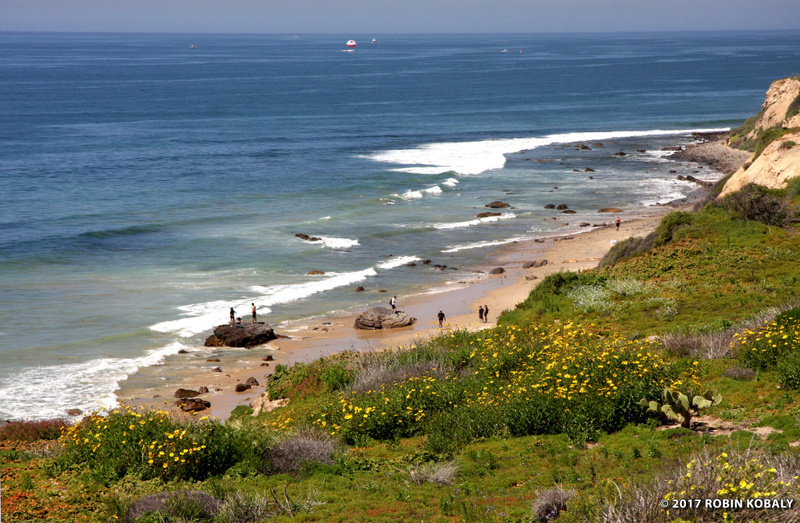 Crystal Cove State Park offers almost four miles of unobstructed pristine beach, and remains the most natural beach in Orange County. 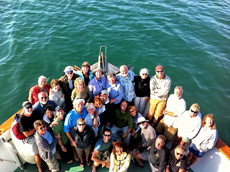 Our fun and educational “Eco-Discovery Walking Tour” of Crystal Cove State Park includes an engaging interpretive adventure through natural areas, down bluffs with spectacular ocean views, along a pristine sandy beach, and culminating with a tour of the charming historic Crystal Cove cottages. As we walk, we weave stories into our experiences, as together we explore the area’s human history, natural history, and whatever interesting birds or wildlife may cross our path. Walking along coastal bluffs through a mosaic of native plants, your guests will enjoy a panoramic overview of the sparkling Pacific Ocean. You will discover (through smell, feel, and taste) that the plants you’re passing are the same ones that early Native American Indians used for medicine, food, tea, utensils, and musical instruments. As you descend the trails onto the beach, you’ll be amazed to learn about the sophistication of our dolphin societies, whose members are often seen playing in the waves. You’ll learn how dolphin schools operate, how dolphins call each other by name, the elaborate games they play, and the advanced echolocation system that allows dolphins to picture their world in virtual reality even in the dark. You’ll learn about the birth and death of a wave, whose “life” may have begun continents away. On the beach, you’ll explore what a forty-ton gray whale has in common with a two-ounce hummingbird and what is different about their annual migration of 2000-10,000 miles. You’ll learn how the sandy beach you’re walking on came from the land, not the sea. You’ll weave past beached giant kelp, one of the fastest growing plants on earth (two feet a day! ), which you’ll discover is either inside you or on you right now. You will learn the romantic history of the charming, unique cottages nestled into the bluffs, and hear stories of the former residents’ daily lives in a beach paradise that time seemed to pass by. The format is usually 1 ½ to 2 hours, and is available all year.